Discussion in 'DIY' started by Pipes, Nov 23, 2016. Hey Guys. This is for those who have wondered about the plausibility of using induction for their VapCap. The answer is, yes it works excellent. Surprised me as there seems to hardly have enough mass, but seems not an issue at all. 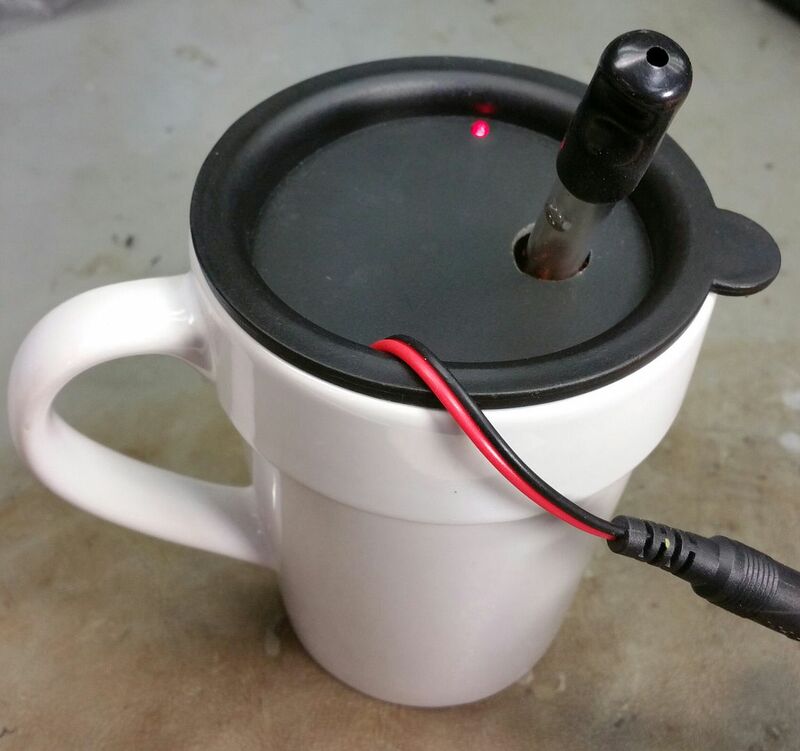 I used the cheapest induction heater I could find. Driving it with a power supply I have are left over from when I was making the Solo PA. Still have a dozen or so of these pups. Problem is he only sells in lots of 20. But I suspect this one will work just as well. Haven't visited in a while so might find better deals out there. A key point to watch for is what happens when the max current draw is met. The supply I'm using turns into a constant current supply when 5 amps is reached and starts to lower voltages to maintain 60 watts. This works out in our benefit in this application. The adjustment for heat transfer is actually physically widening or narrowing the spaces in the driver coil. If coil is pushed such that the winding is close together, the unit draws 6-7 amps when the VC is inserted and clicks in 2 seconds. I spaced out the coil such that it draws 5 amps and takes 5 seconds to set off the click in the VC. From here is just a matter of a switch and cosmetics. I think a FET switch would be the best route. To trigger the switch a couple low power tensile switches in parallel. One accessible by external press and the other pressed with insertion of the VC. And with a circuit similar to the above link, an off time delay variable resistor could be installed for heat timing. Maybe set to turn off shortly after the click sounds..? I envision this as a two piece device. 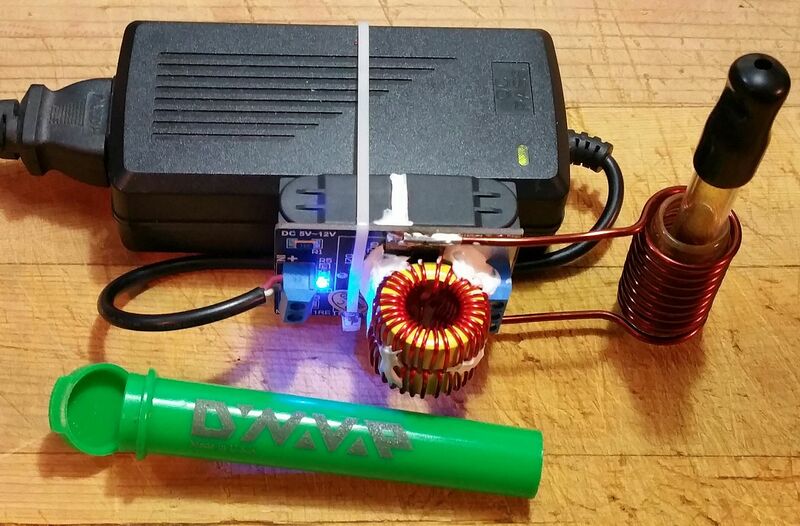 Home power supply detachable and a standard car accessory plug to take its place. Could Velcro it to either the home supply or dashboard. Stickyblack, Melting Pot, Vapioso and 46 others like this. Nice work! Would be bn nice to build into a wooden "base station" for the vapcap. With a magnet and even a pocket for additional herb built in. Melting Pot, Derrrpp, SSVUN~YAH and 5 others like this. Can we have an option that doesn't use wood? This can be a problem for overseas customers but for myself, I'd really like something durable and clean (a metal or glass enclosure) that can be kept in a concentrate processing space for example. I do not allow wood near my processing since it cannot be wiped down with iso. I look forward to seeing where this one goes! As well it would be nice to see some kind of either varied temp (or if this leads to combustion, an option to change how long the heat stays on for - concentrate use necessitates heating up to 5 seconds past the click!). Melting Pot, Derrrpp, SSVUN~YAH and 4 others like this. How about a stainless steel or porcelain traveller's coffee mug enclosure. I think that is doable and solves where to put it in the car. Melting Pot, Swampy, Derrrpp and 10 others like this. How would the titanium tips react in the induction field? Would this only work with the OG glass body? Melting Pot, SSVUN~YAH, Squiby and 2 others like this. Good question Stu. Being a while. I was highly doubtful the OG was going to work. Generally, good SS is not magnetic, unless intentional. Is the Ti tip magnetic? A good clue as to iron content. Found the OG to be very magnetic which makes sense as the iron content holds heat the best. Melting Pot, breiter_fighter, Derrrpp and 4 others like this. great! i was quite sure it will work. 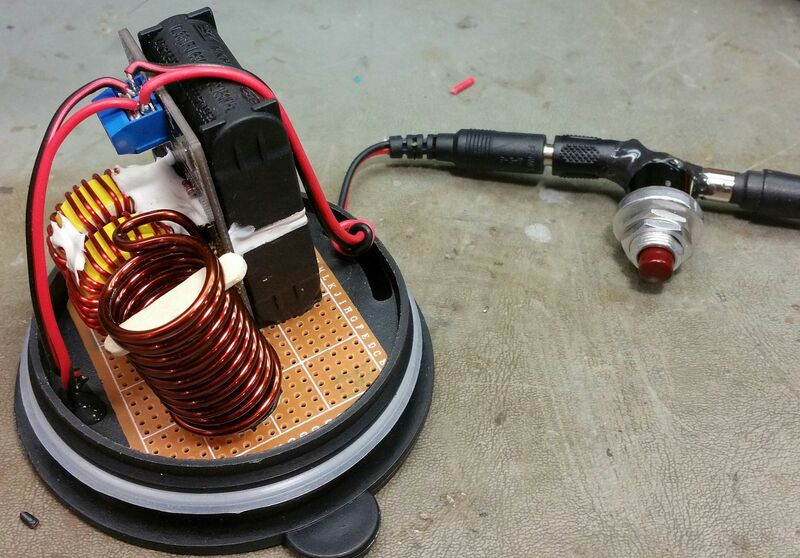 why not only make a switching button for the input of the inducter? press until you hear the click, ready. 2secs you say? thats great imo. checked permeability of titanium, its rather low. lower than that of the stainless steel used for the vapcap for sure. so it should heat up slower at least if even. Melting Pot, Derrrpp, SSVUN~YAH and 6 others like this. This is awesome and I'm going to order an Omnivap in the next couples of dayss o I'm really curious to see how this project evolves. I already own the electrical heating station for the Vapman and it really improves how it performs. Melting Pot, Stoned Cold, SSVUN~YAH and 3 others like this. @Pipes I take it you've tried it out with a full bowl, as you know I doubted it would work and I'm pleasantly surprised it does. I was unsure if the cap itself would heat up or if just the 'clicker' parts would get hot and click without heating the rest of the bowl. Whisper, SSVUN~YAH, Squiby and 2 others like this. Awesome! Definitely want to follow this. Melting Pot, Pipes and phattpiggie like this. High in a Greek mountain! @Pipes ? Can the coil be custom made to the dimensions of the cap instead of using the already available which is quite bigger? Or it wouldn't matter anyway? Melting Pot, stark1, Squiby and 2 others like this. I suppose you could alter it some but it fits the glass tubing as is. Not 100% but suspect you don't want to change the inductance too much as it is a tuned circuit. 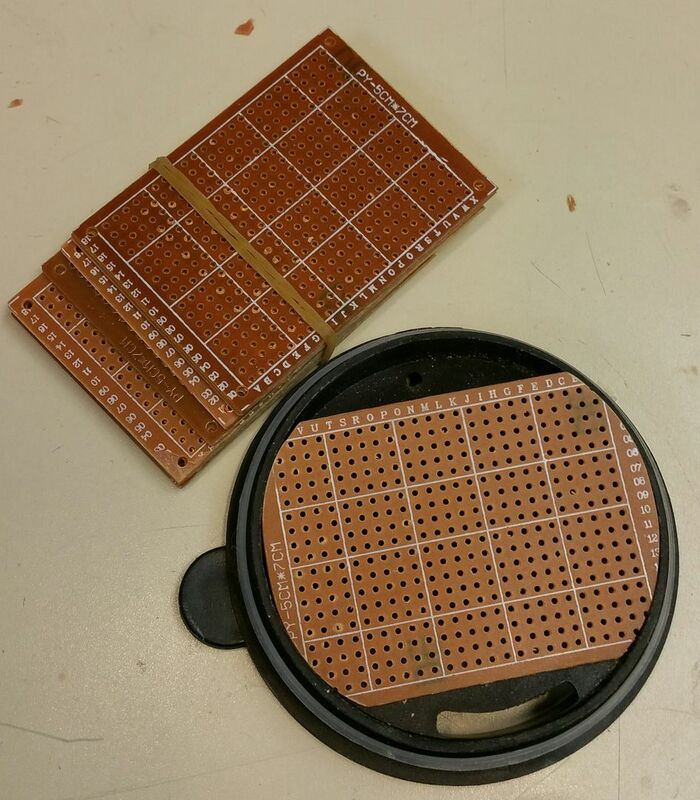 Now the placement in reference to the driver board can be easily changed. Example will be to have it fit into a mug. The coil will need to be re-positioned. 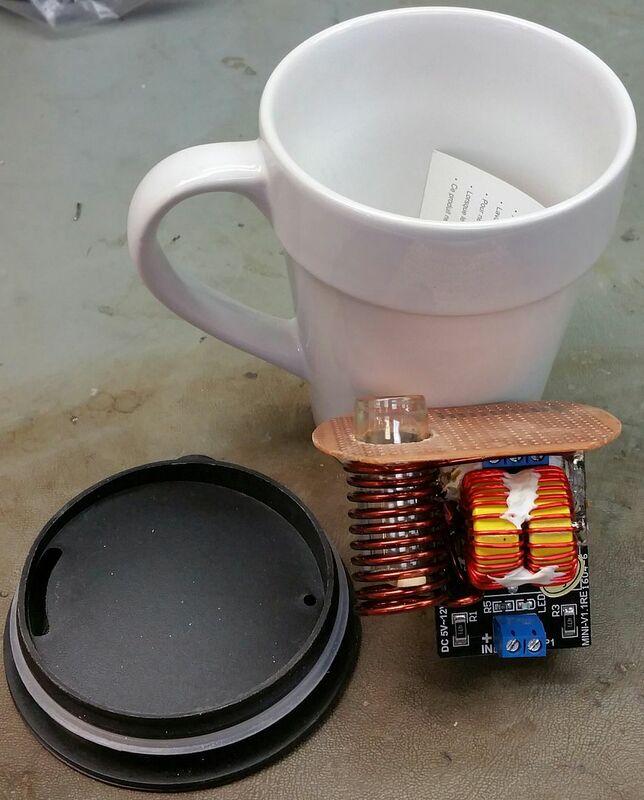 Thinking of attaching all the electronics to the underside of the cup lid. Such that everything will come out with removal of the lid. This approach will make it interchangeable between different mugs. The taller the mug the more stash space under the electronics. Melting Pot, wileycoyote1103, steama and 8 others like this. Got it nailed!!! Except for the switch, which I have a good idea but have to find what I'm thinking about. Will end up being a China solution no doubt. Looking for a MosFet solution already pre mounted on small board. Seems to be lots with Arduino stuff. So will be a month or two before this prototype is done. As you can see below, there is a space reserved for this. Until then, just using a bulky external button switch I put together. The end result of tonight's efforts. Couple highlights of the production. Feel free to click on a picture to browse the album. In this picture I had the glass tube installed. Found that it is not needed and without it adjusting the end point of insertion depth is much easier. Wanted to avoid the glass having to go through the lid. I just used a piece of a wooden stir stick which wedges nicely between the coils. This will also end up being the heat/time adjustment. Along with stretching the coil some or pushing closer together. Had some perf board sitting around which I used as a base to mount the stuff onto. I used a small amount of epoxy to glue it to the lid. Can be pried back off if a new cup is found that the lid doesn't fit. Melting Pot, MasonJar, JCharles and 33 others like this. Melting Pot, Derrrpp, SSVUN~YAH and 3 others like this. Got it nailed!!! Except for the switch, which I have a good idea but have to find what I'm thinking about. Will end up being a China solution no doubt. Looking for a MosFet solution already pre mounted on small board. Seems to be lots with Arduino stuff. So will be a month or two before this prototype is done. As you can see below, there is a space reserved for this. Until then, just using a bulking external button switch I put together. Damn you are a master craftsman!!! I'd like to see the power cable coming out from the bottom of the mug of course... A wooden mug maybe? Melting Pot, Joaon, Squiby and 1 other person like this. Not fast enough @KeroZen, lol. Or me too quick? Now for some delay circuit addon.... Will decide over the wait if needed. Being thinking about that. Really want to keep everything attached to the lid. If a hole can be drilled or made, one could still just poke the pigtail through..? Thinking of the cup holder too. Not all will let a power cord go down to the bottom. Melting Pot, Derrrpp, SSVUN~YAH and 7 others like this. So, you have to hold the switch until you hear the click? It's easy to miss the click if you are in a car or a movie is playing in the living room... You said something about a sensor? Melting Pot, Derrrpp, Squiby and 1 other person like this. If just a detector switch is used, you still need to hear the click or I'll bet you get to know how long by instinct before long. Reason why a delay type circuit would be needed to add a timer shut down. Would add to the complexity which would be nice to avoid. At this point we are up to around $25 less cup for the main parts. Not too bad but it's getting up there. It will be around a $Forty something dollar item at this point. But if there's an audience, I'll make em. Melting Pot, Derrrpp, SSVUN~YAH and 9 others like this. Melting Pot, ataxian, Swampy and 3 others like this. @Pipes I may not have understood a lot of what was posted, but I understood that once again, you've done something pretty incredible and totally relevant to my interests! I'd love to place an order and be one of the early jumpers! I am ready for any latest and greatest updates to the project as well! Ideally one should hold the Vapcap while inserted it in the heater so you also feel the click… So in order to be a one hand operation a sensor is needed for when you insert the VC. Melting Pot, Pipes, jimfish4130 and 2 others like this. How about installing a mini-microphone (next to the clicker), and speaker with volume control? +/- $10. more??? Melting Pot, Bologna, Vapasmic and 5 others like this. Or a mic that when it hears the click throws a fat lady out of the cap that gives us a slap!!! Melting Pot, muunch, Vapasmic and 5 others like this. 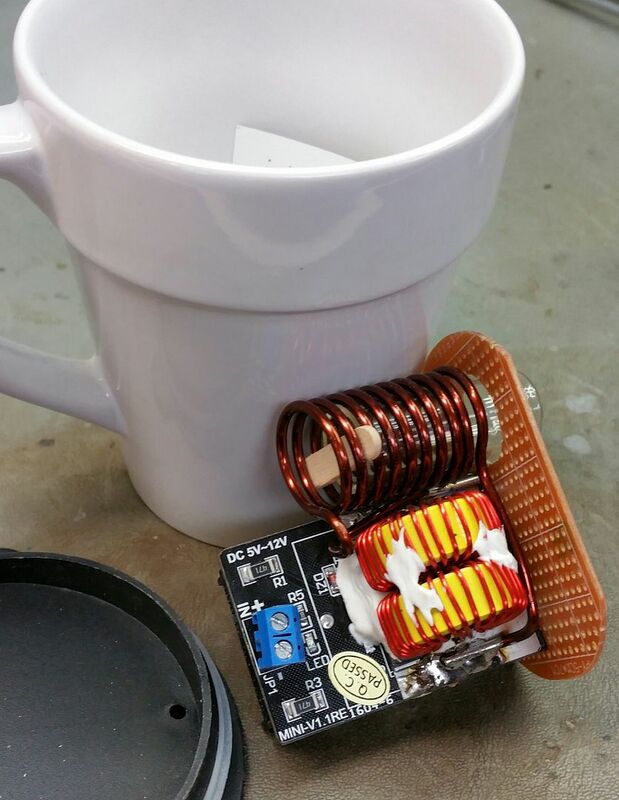 How about an upside down aluminium cup in the bottom of the coil, get the right thickness and it should act like a tiny speaker and amplify the click? I've used a couple of things a small ally tin, a larger tin can and my current carry case a baccy tin. They all make the click louder. Melting Pot, steama, SSVUN~YAH and 3 others like this.